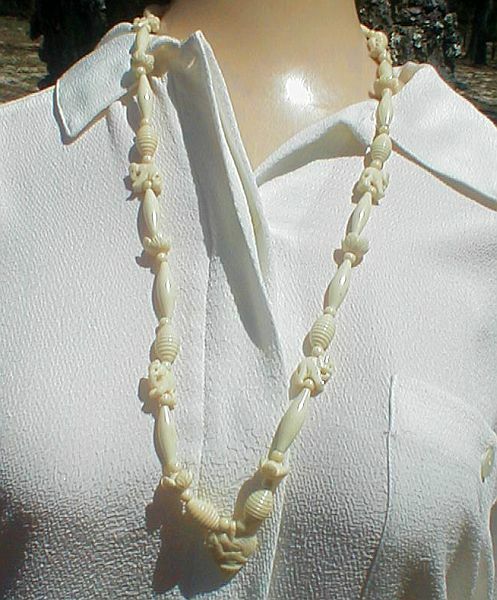 Six carved mini-elephants alternate with barrel and cigar-shape bone beads on this always in-fashion bone bead necklace. Oval barrel clasp blends with beads. View closeup of beads and pendant here. 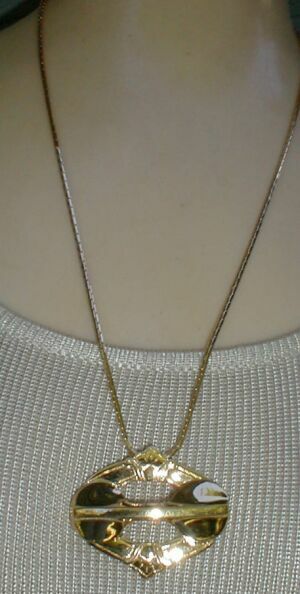 Size: 28" L + 1" heart pendant. 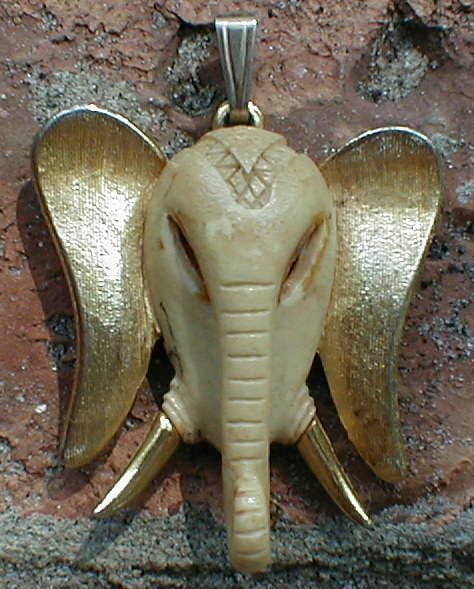 A member of LUKA RAZZA's collectible animal figural collection, this sweet elephant head pendant is not found that often. Goldplated cast with head inset in the famous Razza plastic compound which very closely imitates ivory. Please note that the uneven areas seen in the image are part of the execution of this piece and not damage. 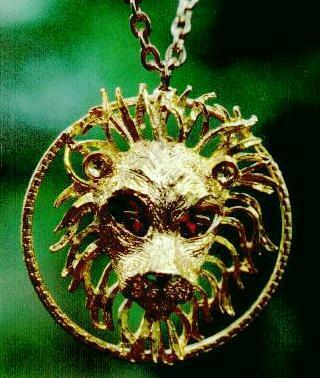 It's in excellent condition but lacks a chain. 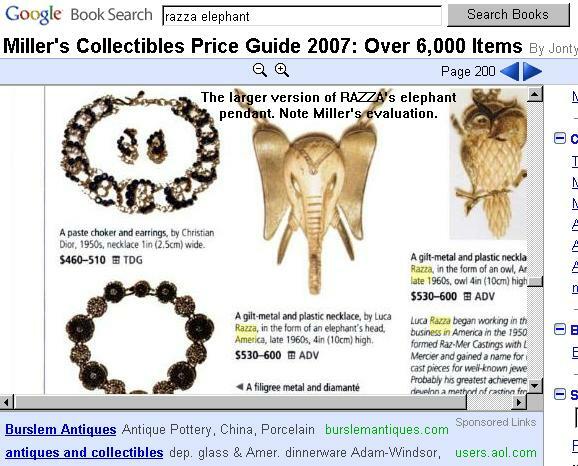 For an update of current collectible prices on RAZZA animal pendants, please view MILLER's 2007 Antiques Guide evaluation of the slightly larger version of this pendant here. 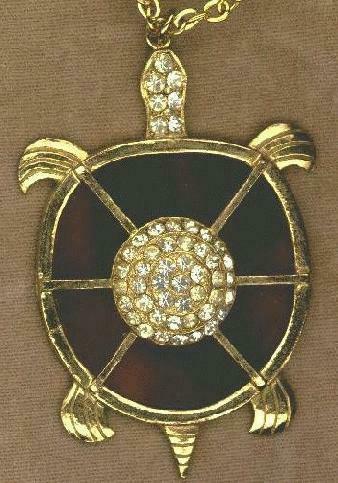 Size: 1 1/2" H and W.
Red rhinestone crystal eyes, cast goldplated open-work. Uncirculated vintage stock from c:a 1960s. Size: 2" dia., 24" long chain. Stylized telephone swings open to reveal name and number. Just the thing for a discreet tip at a party! 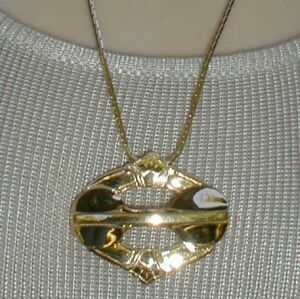 Goldplated heavy cast in two pieces on swivel center. Circa 1960s. Uncirculated condition from Rhode Island. Size: Pendant: 2" W x 1 5/8" H. 24" L chain. Size: 2 1/4" W x 3 1/4" H, 24" L chain.